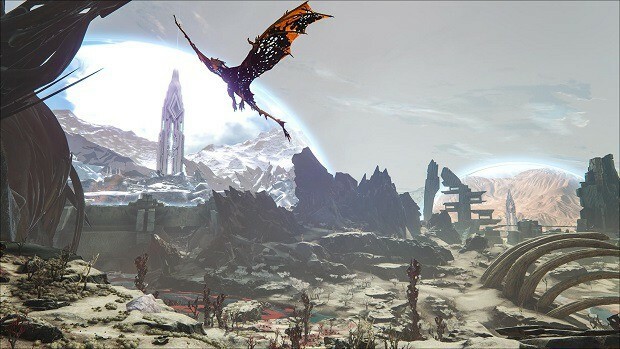 If you ever wish to face the final boss in ARK Extinction, there is no way around the seven gigantic Titans which you will need to encounter first. 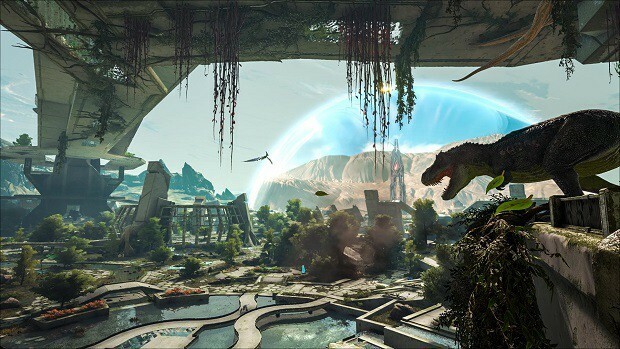 Our Titans Guide for ARK Extinction talks about all majors whom you need to go through. 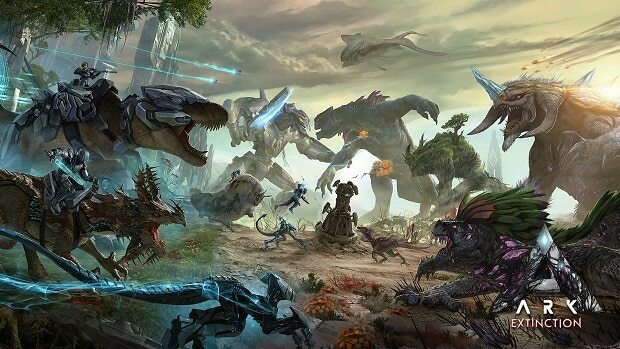 Titans are the largest dinosaurs known to players of ARK: Survival Evolved and are powerful and aggressive. Whenever you face them, you will need to be on your toes to avoid their lethal attacks. 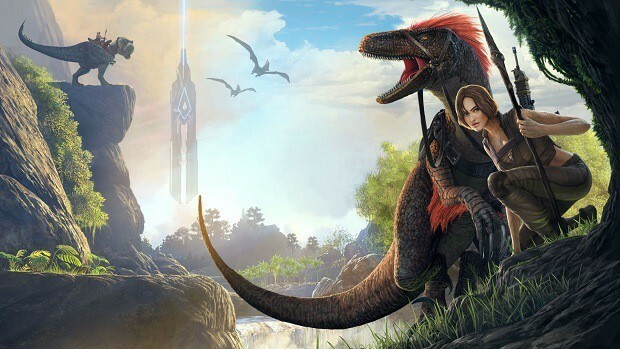 Taming also works a little differently for each with only one Titan allowed to be tamed at a given time. Once tamed, they will not display any symptoms of corruption. The duration for any tame would be 5 in-game days. Whatever damage Titans take during the fight which ultimately leads to them being tamed, it will be reflected in their final HP. So, the less you damage them before taming, the stronger and more durable they will be after the process. Titans are mini-bosses that originate from dungeons and caves. 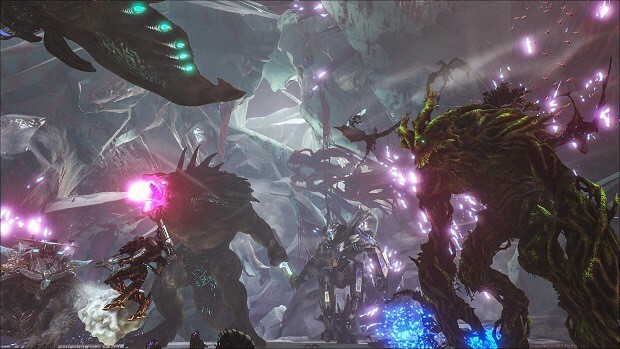 These need to be defeated or tamed before you can move onto fight off the final boss creature – the King Titan. All summoned Titans will start at level 1500. Even when you’ve tamed these Titans, they cannot be leveled up further. To tame the creature, you will first need to destroy the nodes on its back. 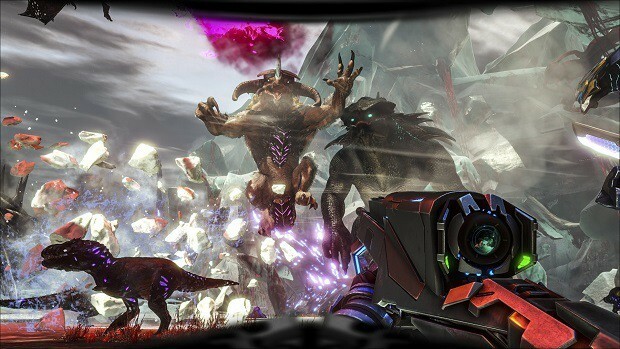 You can then control the creature, thanks to its Platform Saddle and a specific cockpit area on it. 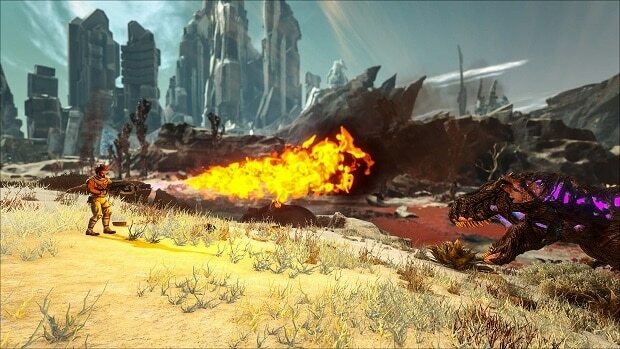 During the taming process, any damage done to the Desert Titan will become the creature’s damage potential after it has been tamed. Drops from Desert Titan include Raw Meat. A variation of this Titan, the Sky Titan, exists. It can perform electric damage, thanks to its fast swinging tail and the lightning it can cause from the sky. The Sky Titan is tamed in the same way as the Desert Titan. You can summon the Titan by heading to the cave that lies under a big metallic structure with coordinates roughly at 87 Latitude and 70 Longitude. It is from right across the artifact that is found within the cave. For more details on the summoning and taming process, head to our detailed Desert Titan Guide. It seems to be corrupted by the Element and is huge with roots and even a tree growing from its back. To tame the creature, you will first need to destroy the nodes on its back. 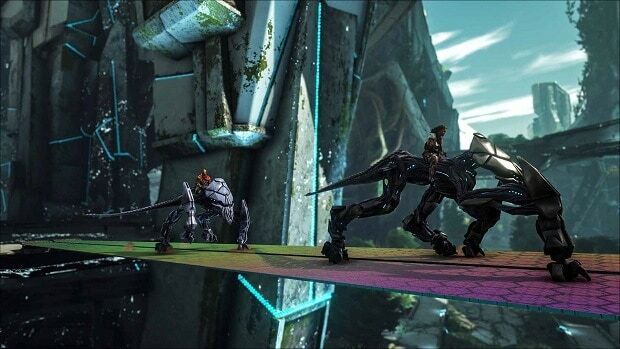 You can then control the creature, thanks to its Platform Saddle and a specific cockpit area on it. 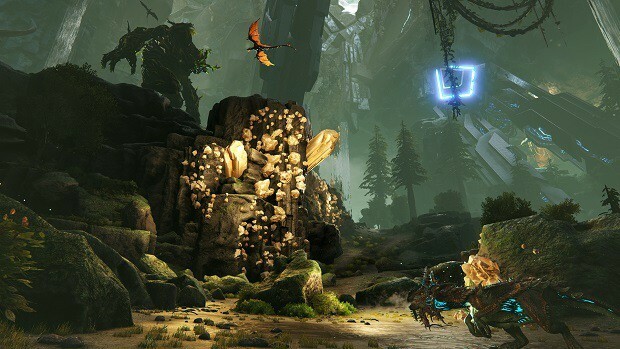 During the taming process, any damage done to the Forest Titan will become the creature’s damage potential after it has been tamed. Drops from Forest Titan include Raw Meat. In the Forest, you will need to head to GPS coordinates 11.8 Latitude and 39.0 Longitude to find the cave entrance. The Forest Titan’s summoning portal is direct across from the green Artifact of Growth in the cave. For the complete taming process including the items, you’ll need to offer to summon the Titan and the strategies you’ll need to employ to take him down, head to our detailed Forest Titan Guide. Boasting a health of 500,000 at Level 1, the Ice Titan drops Raw Meat as loot. To tame the creature, you will first need to destroy the nodes on its back. 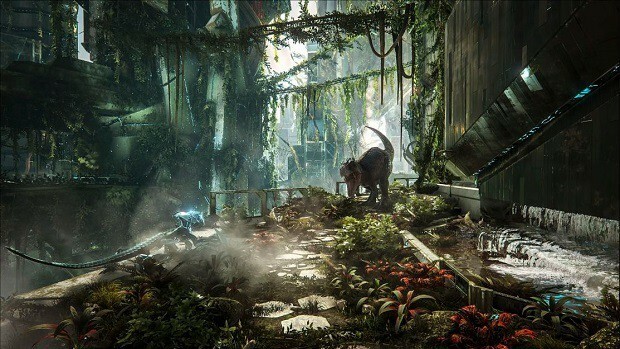 You will then be able to control the creature, thanks to its Platform Saddle and a specific cockpit area on it. During the taming process, any damage done to the Ice Titan will become the creature’s damage potential after it has been tamed. In the Snow Biome region, you can find the entrance to a cave at 20.3 Latitude and 61.9 Longitude. Again, the portal to summon the Ice Titan lies across from the artifact in this cave. Head to our detailed Ice Titan Guide to know all about the summoning process and strategies to take down the Ice Titan and tame it. We currently know that three variations of this particular Titan exist: Alpha, Beta, and Gamma King Titans. The King Titans are the final bosses of the game and defeating them will result in the final cutscene of the game. Of course, defeating these titans will be no easy job. You can find the King Titan Terminal at a location of nearly 3.4° Latitude and 49.1° Longitude. If you do not possess a GPS or lost it somehow, you can find the Titan Terminal near the snow cave of the Snow Biome. You’ll have to defeat the Gamma King Titan before you can summon the Beta King Titan and defeating the Beta variant will give you access to the strongest Titan in the game: Alpha King Titan. You can also use the MEGA M.E.K against the Alpha King Titan.